Modifying cars for many enthusiasts is not only a hobby, but a form of expression you take with you everywhere. More accurately, this form of self-expression takes you everywhere. For our friend Tyler that was exactly the purpose behind this B8 A4 build. Tyler sat down with me at a small sandwich shop in Ohio to give me a better idea of what he wanted his Audi to be. An avid enthusiast, Tyler is not new to modifying cars. Since his DC2 Integra GSR in 2001, Tyler’s car history is filled with Subaru and Honda enthusiast vehicles. All of his builds have been heavily modified. Specifically, most of his previous cars included big turbos, extensive performance modifications, were intended for dedicated ‘spirited’ driving: both on tracks, or back roads. Alzor 349 19×9.5 square sets on 235/40/19 tires finish off Tyler’s stance with an aggressive, yet classic look. The Audi he most recently built tells something of a different story. A few years ago, Tyler made the switch to German performance with the purchase of an Audi B7 A4. 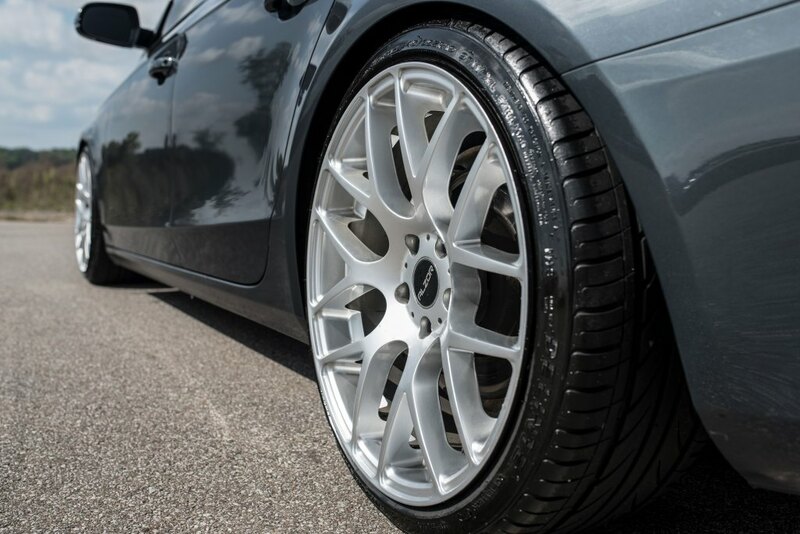 One of two automatics he has ever owned, he enjoyed the B7 for its comfort and reliability. While he is not looking for something to put earthquake-inducing power into, an important factor in his driving experience was to be able to enjoy the car every time he drove it. His B8 is exactly that: a beefed up, mature, and comfortable daily driver. 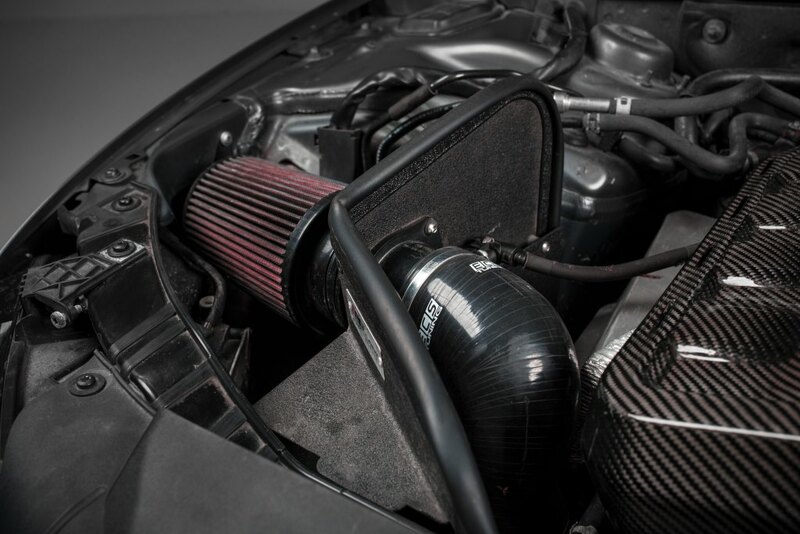 With a new Frankenturbo, new pistons and rings from Audi, aesthetic changes like the ECS Carbon Fiber Trunk Spoiler and Engine Cover, and a few bolt-ons, Tyler took his run-of-the-mill A4 and turned it into something special. This car is an extension of his personality. He is as much an outdoor enthusiast as he is a car enthusiast, as you can see by his bike and kayak racks. The Audi checks those boxes perfectly. This idea is apparent when one hops in the rear seat and looks over to see a Recaro baby seat. 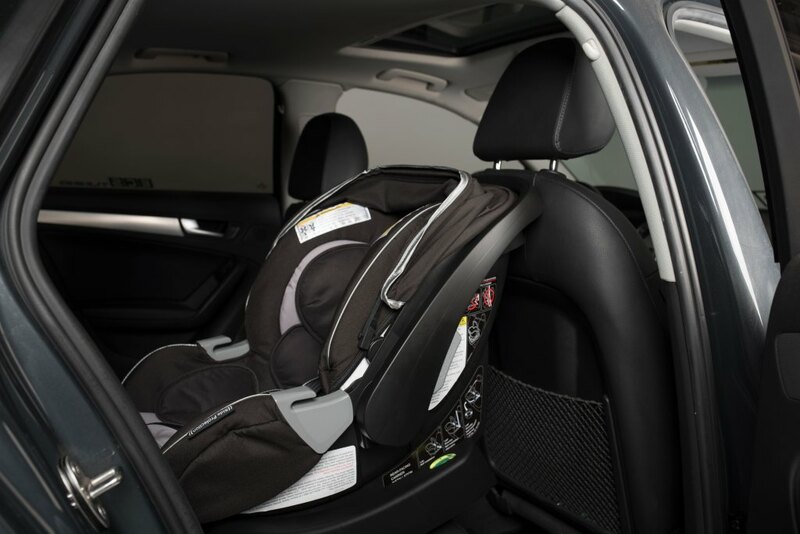 Tyler and his wife are expecting shortly, and have already purchased things like the seat and VW clothing to indoctrinate their new son as quickly as possible into the way of the car enthusiast. The inclusion of his new family addition is exactly what the Audi was ready for. While His B8 makes significant power over a stock equivalent, the car remains comfortable over bumps and is never excessively loud. Even more surprising is the traditional manual transmission equipped with the Quattro rather than the now favored automatic. The signs of an enthusiast are all there, coupled with the reliability and panache of a classy every-day utility vehicle. 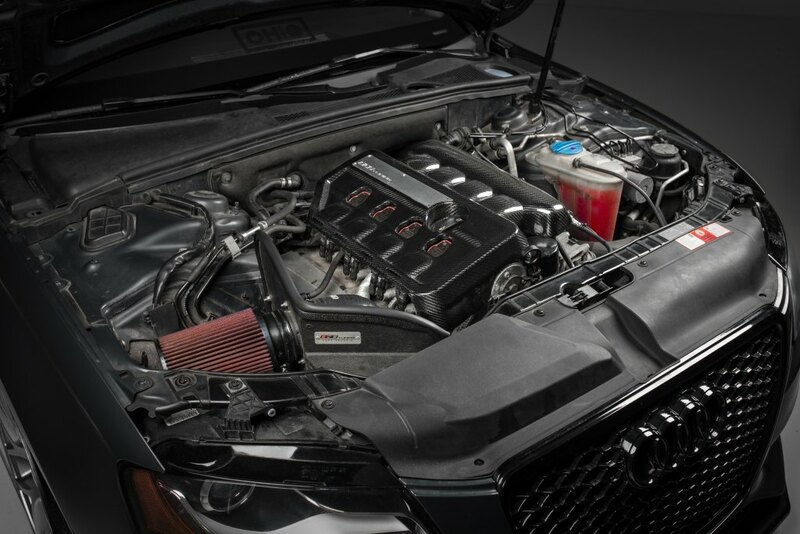 ECS Carbon Fiber beauty and performance pieces accent the natural beauty of the Audi under-hood, and do more for performance than just sit pretty. Overall, Tyler is able to drive a well equipped and comfortable Audi that is still able to satisfy his enthusiast bug without making hardly any sacrifice. Isn’t that what tuning is about?